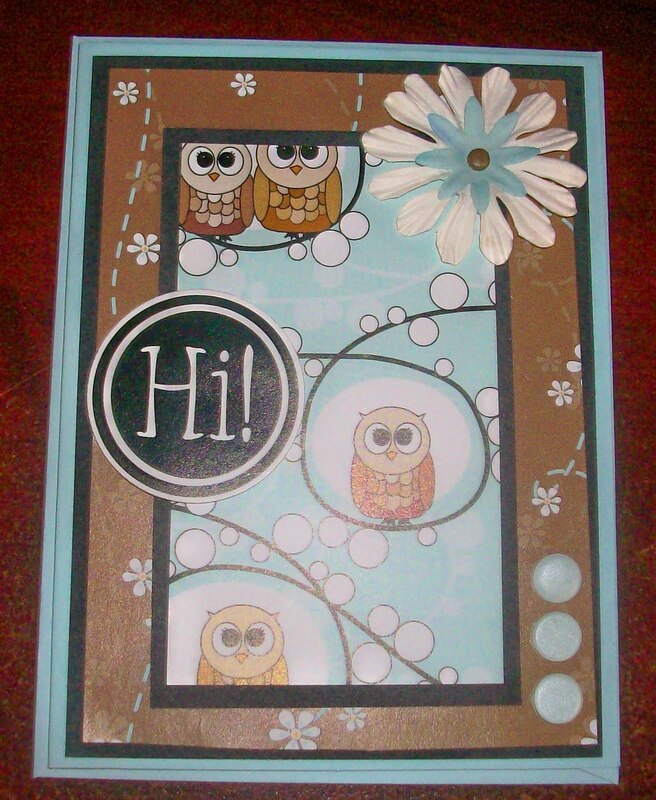 I just love these cute little owls on a paper stack free with a magazine - especially the brown and blue colour scheme. I coloured the flower with a blue promarker to match and finished it off with 3 card candy buttons in the corner. 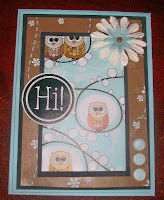 I won these in a magazine competition and they have been soooo useful, just adding a bit of embellishment here and there!